Olivia is a mother, holistic childbirth educator, Doula, Doula trainer, hypnotherapist and HypnoBirthing teacher. She has been teaching and supporting birthing women and couples for over two decades now. She has 4 children including a wonderful 15 years old who, like his siblings, is her mischievous teacher on the path of Motherhood. On her quest for a holistic lifestyle and profession at the beginning of the 80’s, Olivia studied various aspects of holistic health: a Diphe in humanistic psychology and education, counselling, voice dialogue, movement and dance, infant massage and various healing modalities. 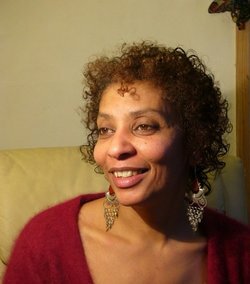 After training with the Holistic Birth Foundation, she founded a Pregnancy practice in Devon and created The Birthing Wisdom training, the most comprehensive and holistic Doula course in the UK, a distillation of her two decades of studies, her professional experience supporting women through life transitions and her 32 years as a mother and partner. After training with Marie Mongan, the founder of HypnoBirthing in the USA, Olivia added another dimension to her holistic approach and she created BirthCreation, a holistic childbirth education programme, which includes the hypnobirthing techniques but also offers much more. Olivia is committed to making a difference in her local community. 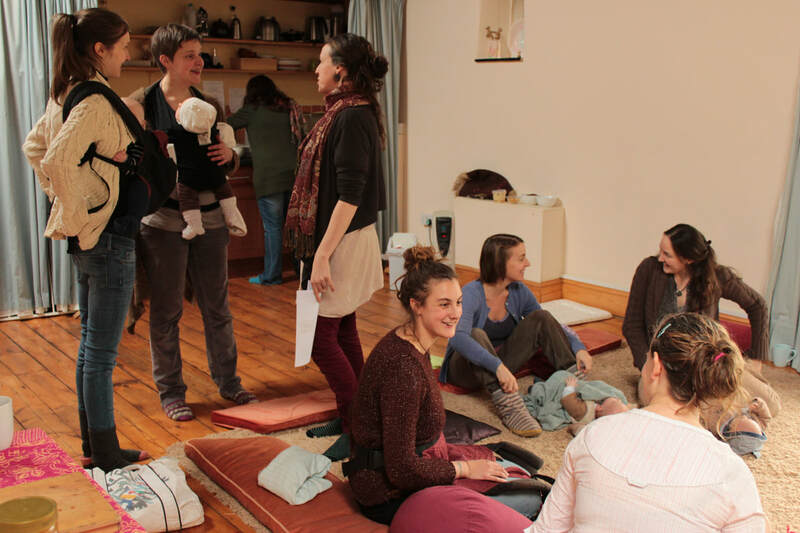 She set up the Totnes Holistic Birth Hub in 2011, and more recently ﻿Radiant Mama﻿, places where women and couples can access information, resources and holistic support and services, as well as be part of a like minded community during the crucial period from conception to early parenthood. I was 28, pregnant with my first child and in love. My pregnancy had been really good so far. I was well, fit, enjoyed my life as a university student, sang in a band, and for the first time in many years had a permanent home. I felt financially secure, having put in place what I needed to be ok after the birth; only a minimal income, but poverty was no stranger to me and I knew how to live well on very little. I felt good about the world and hopeful for the future and our family. I was standing just in front of my house and a woman I had never met before, holding a young child, walked up to me. I remember the way she leaned towards me, as if she was about to share a secret. She said: “I hope you don’t mind me telling you that, but one thing I really wish someone had told me when I was pregnant was how much the birth is gonna hurt. I am telling you that now, so that you know. “ She didn’t wait for my response. She walked away, satisfied. Job done! What impact she had on my birth I will never know. Her words didn’t scare me or even deter me from having the home birth I had planned but were they meant to prepare me in some way? In the end the natural birth of my son was one of the most wonderful experiences of my life. The birth was fairly long but my labour felt manageable at all times. I remember our walk around the streets of London on this bright sunny day, stopping to breathe discretely whenever needed....the long lavender baths where I relaxed and breathed on my own for hours... and the surprise appearance of a friend, who happened to come just at the right time and stayed and breathed with me until transition. Her calm presence supporting me and helping spread a peaceful atmosphere into my little cosy bedroom. She was my first doula. When the midwife put my son on my belly I experienced the most amazing feeling of love and joy. I didn’t know I could feel like this. I didn’t know you could cry with tears of love and bliss. When I could let go of him I gently lowered my son in the baby bath we had prepared for him. This was before birthing pools and the Laboyer birth method was the gentlest way we knew to welcome a baby into the world. The midwives glowed with approval about the whole birth. I didn’t have anything to compare it to. It had just felt natural and simple to me and even though I wouldn’t say that the birth had been painless, at not point did I feel fear, panic or overwhelmed with the pain. It had felt completely manageable and straight forward and so worth it. My experience had obviously been very different from the woman who had approached me in the street. 17 years later, pregnant with my 4th child, my relationship was going through a very challenging phase, I felt lonely, exhausted and very anxious about how I was going to manage looking after 4 children and running my very busy pregnancy practice, our main family income. My physical connection with my partner was at an all time low and my unmet need for tender touch and emotional and sexual connection was a deep source of grief to me . Our relationship didn’t bring the relief and reassurance I needed in this time of high stress and worry. I wrote to my baby a lot during my pregnancy. I felt much closeness and connection with him. On a bright spring morning I went into labour. It all started gently, with waves flowing through my body easily as I snuggled in my bed, enjoying each moment. Worried about not being active enough I decided to have a shower and move around. That’s when it hit me! The first really intense contraction! Suddenly I was overwhelmed with fear as my body remembered the relentless pain I had experienced during my last birth. I felt dizzy with fear and pain. How was I going to get through this? I had a doula and a close midwife friend and my partner were also there to support me, but I felt alone, no-one seem to be able to get through and really hold me. I tried to use positioning to slow labour down. I was an experienced birth worker, so understood the process well, but nothing seem to bring any relief. I knew I had to do something, the pain was just unbearable! The thought finally emerged: ‘I need to get to the pool, I need to get to water’. Disregarding the midwife’s advice that I shouldn’t go into the pool as I was only two centimetres dilated, I took charge of my birth and immersed myself in the warm water. What a relief! I felt my body exhale deeply. For a little while I savoured the moment but it wasn’t long before I realised that I needed something else if I was going to get through this. The pain was still so intense! I asked my birth partners to sound with me and soon beautiful waves of sounds were echoing in my birthing space. The low sound united us and I felt lovingly held by the group sound and energy. Within an hour I dilated from 2 to 10cm and I was ready to welcome my baby into the world. He was born in the pool and as I brought him up to the surface and held him in my arms, his little arm stretched out and his victorious fist seem to say “Hurrah! I have made it!” A celebration for all! It had been a painful but empowering journey. This time I really had experienced the pain the woman had tried to warn me about, all these years ago! I felt confused. Why did I have so much pain? How could birth be so different? Even though I had done extensive training as a birth worker and had had the support of a very experienced midwife friend and a doula, even though this was my fourth birth and should have been a lot easier, the pain I experienced was just shocking and I felt the trauma of it in my body for quite a while. I wanted answers. Not only for myself but for my clients. I had seen the pain some of them had gone through and the impact it had had on their births and early parenting. I knew birth could be different. I had experienced it myself! It hadn’t been a dream. I knew in my body how gentle and peaceful birth could be. My research took me far and wide. I learned so much I wanted to share it with others and created a very comprehensive holistic birth practitioner training. Birthing Wisdom has now been running for over 15 years and is still the gold standard of the doula trainings in the UK. Whilst I understood so much more about birth and what impacted it and saw that I was making a difference, I wasn’t satisfied, I was still hearing too many sad birth stories around me. I wanted more answers. In 2005, I trained with Marie Mongan, the founder of HypnoBirthing, and started teaching this amazing approach and set of techniques. The difference I saw in my clients was just amazing and I was privileged to witness beautiful peaceful births like my first birth, even after previous traumatic births. Wanting to make as much of a difference as I could I carried on researching and training. Ina May Gaskin, Pam England, Helena Tonetti are amongst the pioneers I studied with. I also trained in hypnosis, energy psychology and counselling, techniques I have used very effectively for many years for birth trauma healing. I have developed my own protocol to work with the fear and stress that is so prevalent in our culture and can have such a negative impact not only on our labour and birth but on our babies in utero. I am currently writing a book to share my research, knowledge and experience of this work. ‘Birth beyond fear’ will be published at the end of 2017. After being very focused on birth work for many years I have come to see the importance of the postnatal period and the impact support after the birth has on mother’s ability to parent and take care of themselves. In 2011 I set up the Totnes Holistic Birth Hub, and more recently Radiant Mama, nurturing places where women can meet and be part of a like minded community during the crucial period from pregnancy to the first 9 months after the birth. Available to the mamas are short massages or treatments, sharing circles, information, resources and support. This is offered on a donation basis to make it accessible to all women regardless of income. My current research is focused on the first 1000 days from conception onwards and it’s impact on the physical, mental and emotional development of babies. This has been something close to my heart for many years and informs my work with parents and my teaching. It has been an amazing and humbling experience to journey with mothers and families for over 25 years and to train professionals to go out there and educate and support. I am still learning, and still discovering the unfolding mystery of Birth but I know that some of what I have discovered so far has made a lot of difference to the many clients I have worked with. Whether you are wanting someone to journey with you and your baby throughout your pregnancy to make it a really positive experience, or you are feeling anxious about the birth or the changes in your life, and want some help feeling at peace with it all and empowered, just get in touch. Send me an email or a text ( 07873114858) to book a free 15mn consultation so we can see how I can help. You can also attend courses and retreats with me and learn hypnobirthing and my unique protocol for meeting labour with presence and grace. I look forward to working with you and helping you have a positive pregnancy, birth and parenting experience.